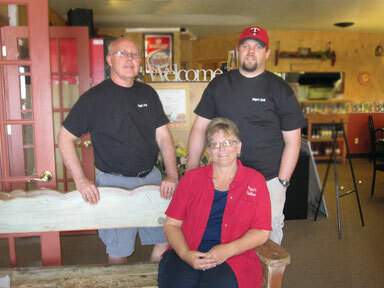 The Stroh family serving Zimmerman since 1991. Papa's Italian is a full-service restaurant located in Zimmerman, Minnesota. Since opening our doors in 1991, we have provided local families and businesses with delicious meals at affordable prices. Our food is second to none and we pride ourselves on our customer service. Over the years, our family owned business has grown to provide catering, and delivery, and we feature an event area for your intimate family gathering, or private business meeting. We serve wine, beer, as well as other beverages to compliment your meal. We are committed to continuing our positive relationship with local business owners and residents, and encourage our customers to let us know how we are doing. To ask a question, or provide us with feedback, please fill out our feedback form. Thank you for visiting our website, we hope to meet you soon! Contact us on our Contact Us page.